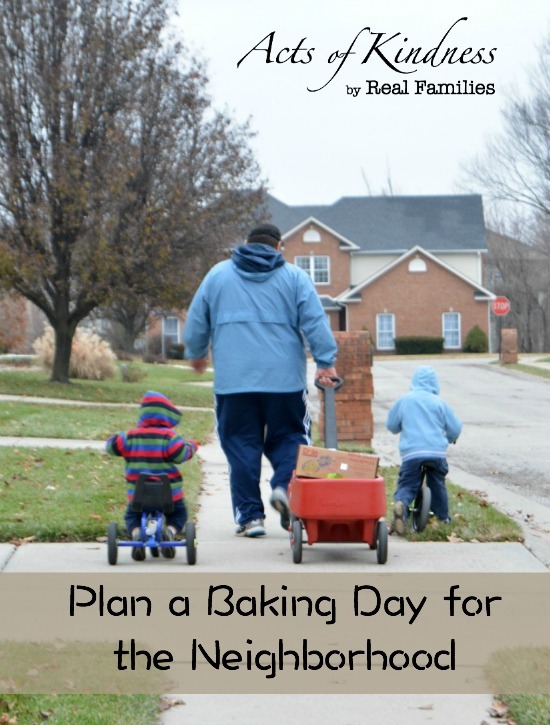 This week I am honoured to have Jodie from Growing Book by Book sharing her family’s Baking Day for the Neighborhood. 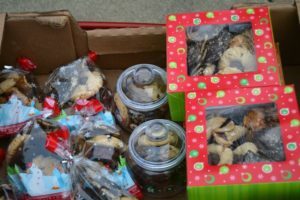 What happened: Once a year, usually at Christmas, our family has a family baking day to make lots and lots of yummy cookies. We make enough to share with every household on our street. We box the cookies and make homemade cards that say thank you for being our neighbor. We even make dog biscuit treats for those families that have dogs. Then, we load up the wagon and make our deliveries. We like to take a bell to ring along the way so everyone knows that it’s that time of year! How the experience affected your family: It is something that we all look forward to each year. All year long my kids taste test different cookies that they think would be fun to make and share. The experience has sparked an interest in doing other things for the neighbors such as moving their trash cans back to their houses on garbage pick-up days. Our cookie day has become one of our family traditions. Message to others: Simple gestures go a long way. 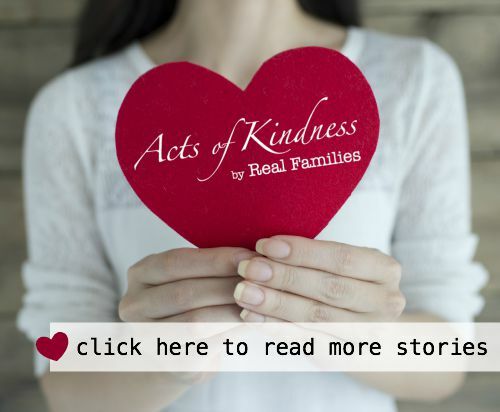 Not only does the recipient benefit from the kind deed, but our family learns about being kind to others. Showing gratitude and kindness starts close to home. Thank you Jodie for sharing your story! 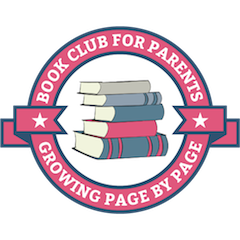 Jodie blogs at Growing Book by Book about nurturing our youngest readers and family literacy projects. 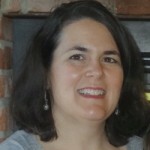 Look for her e-book later this year about literacy based service projects. Stay in touch with Jodie on Facebook or Pinterest. Here are some other articles by Jodie that you may enjoy: Gratitude Writing Project or Books About Love, Caring and Sharing. What a lovely idea! And the bell is just wonderful! Yes the bell is so sweet, I bet the kids love it!